For this week’s Tutorial Tuesday, we’ll teach you how to make a simple YouTheDesigner Pattern Wallpaper using Photoshop. 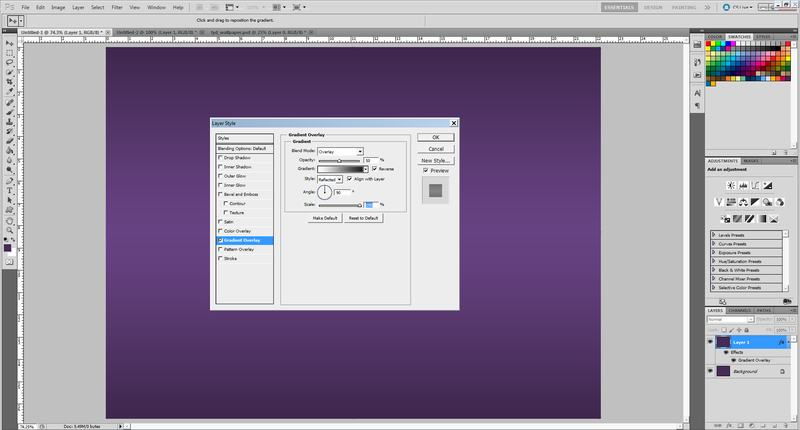 STEP #1: Create a new 1600×1200 px, 72dpi document in Photoshop. STEP #2: Using the paint bucket tool (G), color the background layer with #452c57. STEP #3: Download the preset pattern (here), then open the file in Photoshop. STEP #4: Define the pattern by going to Edit>Define Pattern. Click OK then close the file. STEP #5: Back to the new document, select the background layer then duplicate (Ctrl+J) it. Select the new layer then go to Layer>Layer Style> Blending Options. Click Gradient Overlay then match the settings as seen in the image below. 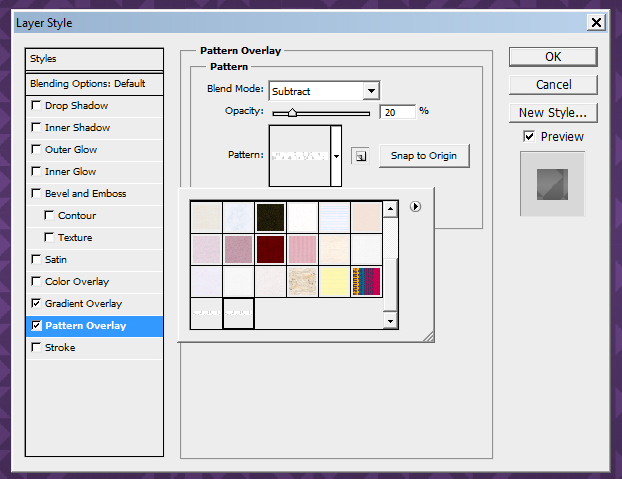 Click Pattern Overlay, use the preset pattern defined earlier then match the settings as seen in the image below. STEP #6: Using the type tool (T), create a horizontal text without spaces: YOUTHEDESIGNER. Download the H19A-Luna font (here). STEP #7: Select the text layer, go to Layer>Layer Style>Blending Options, click Drop Shadow then match the settings as seen in the image below. STEP #8: Place the YouTheDesigner logo. Download the logo (here). STEP #8: Select the logo layer, go to Layer>Layer Style>Blending Options, click Drop Shadow then match the settings as seen in the image below. The wallpaper should look like this. Here’s the final output and how it should look like in your computer screens. You can check out more awesome tutorials here.